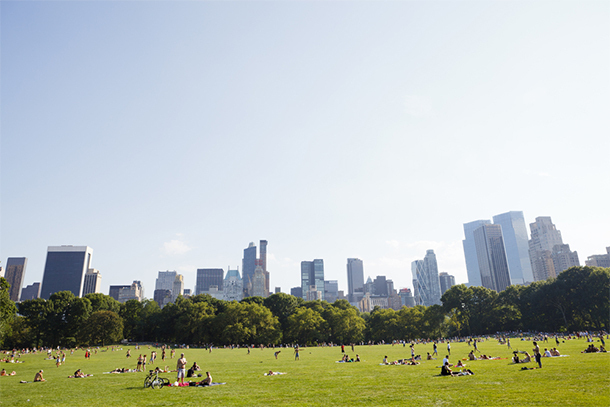 Central Park is more than just a place to check off of your to-do list when you’re in New York City. This massive rectangle of green space is an oasis in the middle of a busy city, and with more than 800 acres to cover, you’ll want to plan your visit around the park’s very best sites. 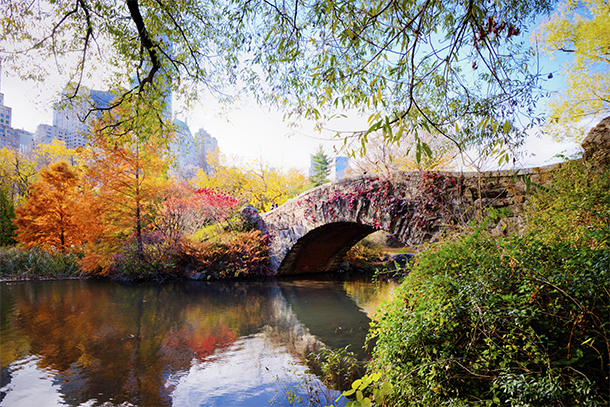 Here are 10 essential things to see in Central Park when you visit the Big Apple. 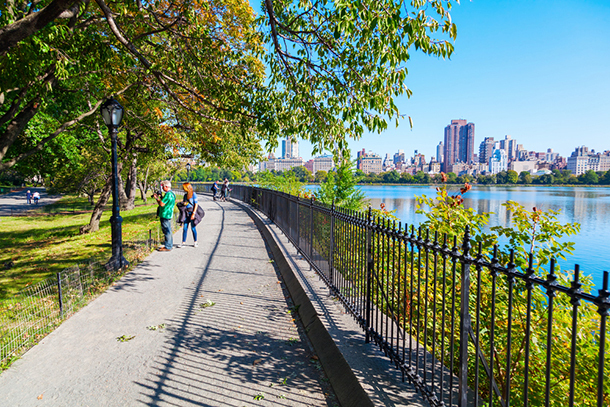 If you want gorgeous water views within Central Park (without the crowds), head to the Jacqueline Kennedy Onassis Reservoir, which runs from 85th Street to 96th Street. You can loop around the reservoir on a 1.58-mile track at a leisurely stroll while sightseeing and watching all of the local New Yorkers lap you as they get their workout in. You'll enjoy panoramic views of nature and the city skyline. One of the coolest things to see in Central Park is one of the most unexpected. A castle in Manhattan? Absolutely, although it's a small-scale one. 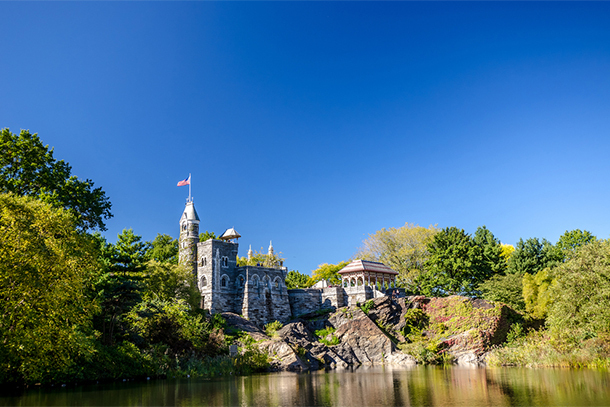 Belvedere Castle, located mid-park at 79th Street, was built by Calvert Vaux, one of the park's designers, in 1869. These days you can explore inside from between 10:00 a.m. to 5:00 p.m. every day except holidays. The Belvedere is built on one of the highest points in the park—fitting, since its name means "beautiful view" in Italian. Fans of the Bard will love the Shakespeare Garden, which is full of flowers and plants name-checked in the writer's works. Wander around reading the quotes displayed on plaques throughout, and pick your favorite to perform on the "whisper bench"—a semi-circular granite seat that conducts quiet sounds clearly from one end to another. 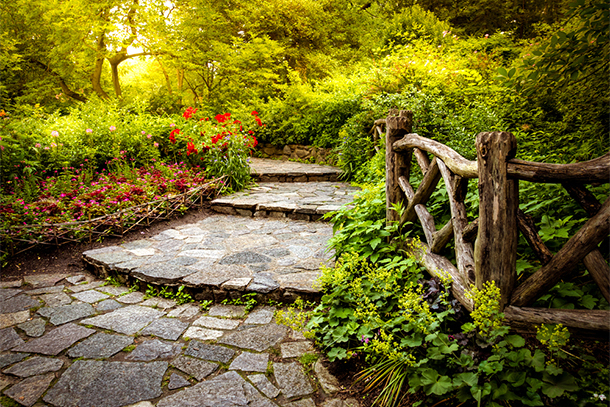 You'll find the garden on the West Side between 79th and 80th Streets. 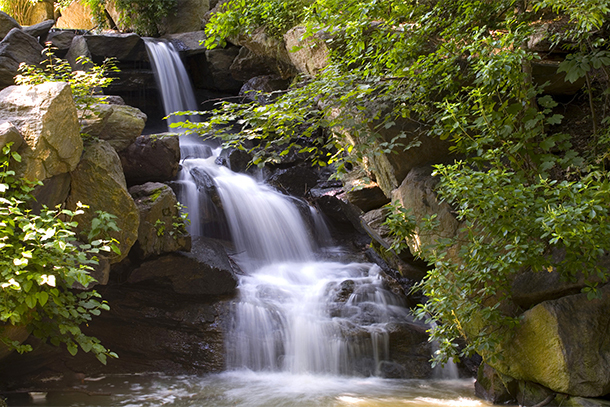 You won't find the Loch Ness Monster here ("loch" just means "lake"), but you will find some pretty cool waterfalls. Although these water features are manmade, they look natural and were designed to make visitors feel like they're in the Adirondacks. Surrounded by forest, you may indeed forget that you're in the middle of Manhattan. Find the Loch mid-park at 102nd Street. Pay tribute to John Lennon at this section of the park located directly across the street from the Dakota, the apartment building where the singer lived and died. 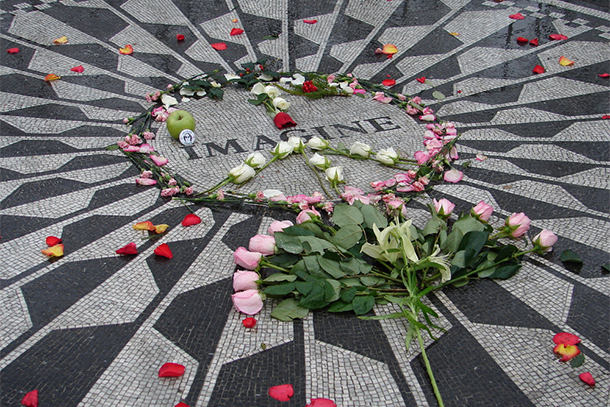 One of the most unique things to see in Central Park, a poignant "Imagine" mosaic ties the site together in honor of one of Lennon's most famous songs. 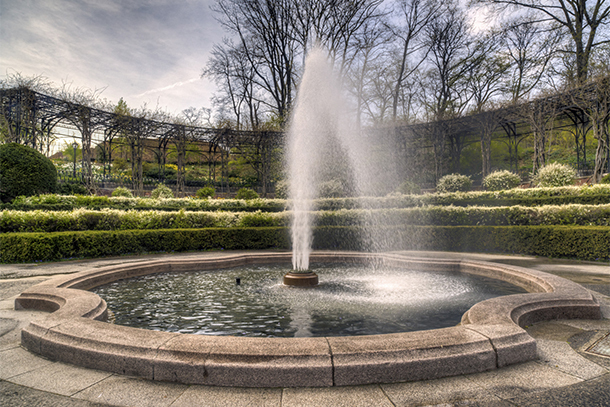 The area, located on the West Side between 71st and 74th Streets, is designated as a Garden of Peace by more than 120 countries. Live out your favorite romantic movie fantasy by renting a rowboat and paddling around the lake (not to be confused with "the loch") with your date. Or just hang on the sidelines and enjoy watching the action as people attempt to sail everything from toy boats to their life-sized counterparts. The lake is between 74th and 75th Streets on the East Side. You'll find one of the most family-friendly things to see in Central Park on the East Side near 75th Street. 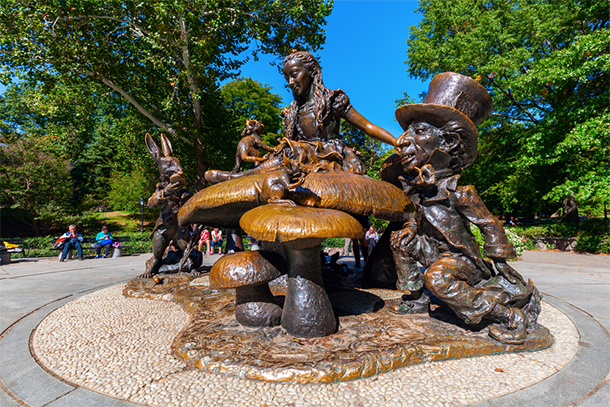 Let the kids go wild on this climbable statue depicting Alice (from Alice in Wonderland) having a tea party with the Mad Hatter and White Rabbit. The bronze artwork was donated in 1959 by George Delacorte in honor of his wife. If you want to find real New Yorkers (well, at least the ones who can't afford to leave the city for the Hamptons), head to Sheep Meadow on a hot day. Locals flock to this 15-acre field to picnic, toss a football, or sunbathe. Get there early on the weekends if you want to stake out a good spot for your blanket. You'll find it mid-park between 74th and 79th Streets. Fancy a game? 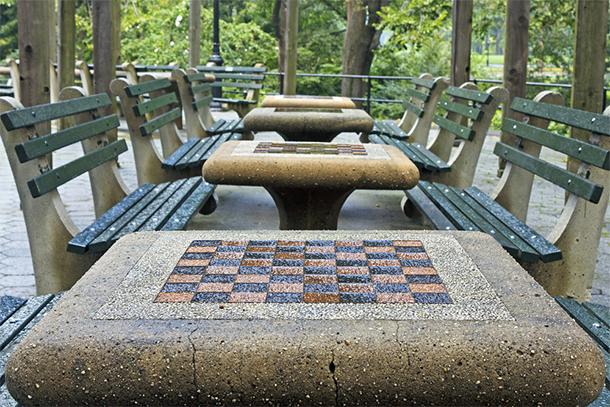 Stop by the Chess and Checkers House mid-park at 64th Street, where you can borrow games (including dominos and backgammon) from the visitor center or just watch the fierce matches going on. There are plenty of tables to play on and plenty of willing opponents if you're in the mood. If you like your parks full of flowers, the Conservatory Garden is where you should start your Central Park visit. Enter through the iron gate that once guarded the Vanderbilt Museum to enjoy three small gardens, each in a different style (Italian, French, and English). Come to relax and reflect—the Conservatory is a designated Quiet Zone. It's located on the East Side at 105th Street.